This is at least a threat that we can be legitimately concerned about. It is real and there is a good one chance in ten we will be unpleasantly inconvenienced. Yet there is plenty of good news inasmuch as our infrastructure is been re-engineered at an accelerating clip and becoming progressively more secure. We were seriously vulnerable during the last half of the twentieth century, but that is I believe in decline for a number of good reasons, not least steady the replacement of copper in our telecommunications. Thus while the threat is real it is also diminishing as a combination of simple awareness and technology replacement is doing its magic. I still would like to see a general mandate implemented that insists manufacturers design in protection at source. This would mostly complete the job inside two generations and would secure most everything inside one. In my mind, there is simply no serious need to be vulnerable at all. It is no different than placing a spillway on a dam. In the meantime engineering staffs have all had plenty of warning and time to do what is practical to protect their charges. Experts say the sun is reaching a peak in its 10-year activity cycle, putting the Earth at greater risk from solar storms. 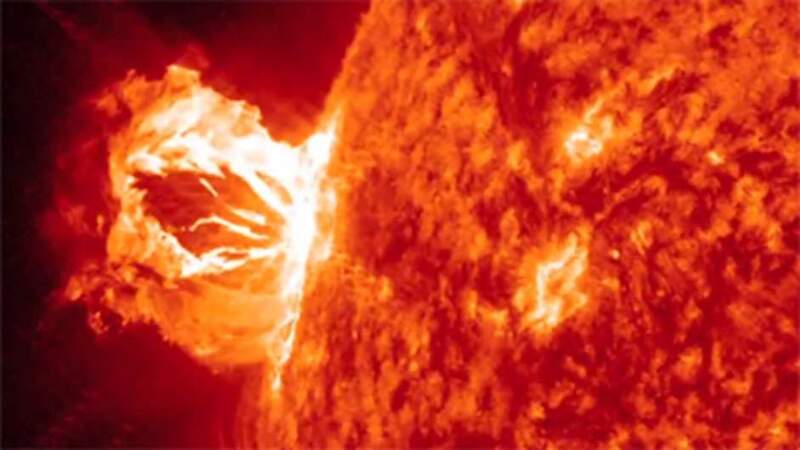 Power grids, communications and satellites could be knocked out by a massive solar storm in the next two years, scientists warn. Mike Hapgood, a space weather specialist at the Rutherford Appleton Laboratory near Didcot, Oxfordshire, said: "Governments are taking it very seriously. These things may be very rare but when they happen, the consequences can be catastrophic." He warned that solar storms are increasingly being put on national risk registers used for disaster planning, alongside other events like tsunamis and volcanic eruptions. There is 12% chance of a major solar storm every decade - making them a roughly one-in-100-year event. The last major storm was more than 150 years ago. The threat comes from magnetically-charged plasma thrown out by the sun in coronal mass ejections. Like vast bubbles bursting off the sun's surface, they send millions of tons of gas racing through space that can engulf the Earth with as little as one day's warning. They trigger geomagnetic storms which can literally melt expensive transformers in national power grids. Satellites can be damaged or destroyed and radio communications - including with jet airliners - could be knocked out. Teams of scientists in North America and Europe monitor the sun and issue warnings to governments, power companies and airline operators. In 1989, a solar storm was blamed for taking out the entire power network in Quebec, Canada, which left millions without electricity for nine hours. The largest was known as the Carrington event in 1859, when British astronomer Richard Carrington observed a large solar eruption that took just 17 hours to reach the Earth's atmosphere. It caused the aurora borealis - or Northern Lights - to be seen as far south as the Caribbean. I am concerned for arclein's complacency, in view of, say, Matt Stein's warming on the likelihood of these solar occurrences.